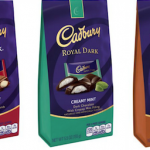 Cadbury Premium Pouches Only $1.59 At CVS! CVS has select Hershey's candy on sale buy one get one 50% off! Combine sale with coupons and Checkout 51 offer to get Cadbury Premium Pouches for $1.59 each through 12/14! Here's how:Buy 2 Cadbury Premium Pouches B1G1 50% Off $4.79 ($7.18) Use 2 $1 Cadbury Premium Pouch coupons Pay $5.18, Get … [Read more...] about Cadbury Premium Pouches Only $1.59 At CVS! Annie’s Mac & Cheese Only $.50 At CVS! Starting 12/11, CVS will have Annie’s Mac & Cheese on sale for $1! Combine sale with coupon to get boxes for $.50 each next week! Here's how:Buy Annie’s Mac & Cheese $1 Use $.50 Annie’s Mac & Cheese coupon Final Price: $.50Don't forget this deal doesn't start until 12/11, but … [Read more...] about Annie’s Mac & Cheese Only $.50 At CVS! DiGiorno Pizzas Only $3.33 At CVS! Starting 12/11, CVS will have DiGiorno Rising Crusts Pizzas on sale 2/$10! Print this buy two get one coupon to score pizzas for $3.33 each next week! Here's what you'll do:Buy (3) DiGiorno 12″ Pizza 2/$10 ($15) Use Buy 2, Get 1 DiGiorno coupon Final Price: 3/$10 ($3.33 each)Don't forget … [Read more...] about DiGiorno Pizzas Only $3.33 At CVS! Hefty Trash Bags Only $3.66 At CVS! Right now CVS has Hefty Trash Bags on sale for $6.99, plus you'll get $5 Extra Care Bucks for purchasing $20 worth! Combine sale and ECB with coupons and Ibotta offers to score boxes for $3.66 each through 12/10! 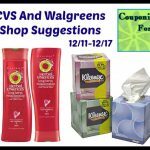 Here's how:Buy 2 Hefty Tall Kitchen Bags 40-80 ct $6.99 each ($13.98) Buy Hefty … [Read more...] about Hefty Trash Bags Only $3.66 At CVS!